You're an aspiring food blogger who've just walked into a nice restaurant with your date. After getting seated, you eagerly run your eyes over the menu, figuring out what you—or more importantly, your social audience–would like for the evening. The food arrives, you pull out your phone and get down to business. Ten shots in, but none of them look good. Your stomach's growling and that perfectly plated entrée is getting cold. Look up, even your date's starting to lose patience. What do you do? 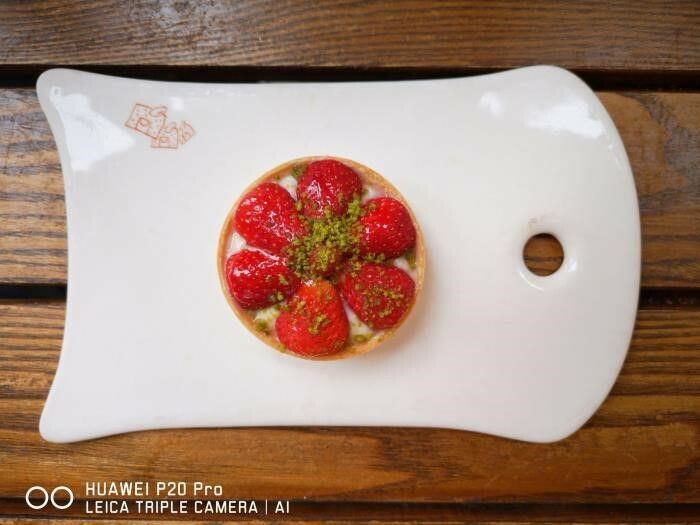 You need a food photography tutorial and the huawei phone camera which allows you take perfect pictures of food effortlessly. When nothing feels right, the first thing you should check is the lighting conditions. Photography is the art of light. Light is your friend—so make sure you're shooting with proper illumination. Food stills are best shot under soft, diffused natural light. This ensures the all the minute details on the subject are well-lit for the lenses. Good natural light makes all the difference. The photos above were shot using HUAWEI P20 Pro with Master AI enabled. At the time of shooting, we were fortunate enough to have a slight overcast diffusing the otherwise harsh direct sunlight at noon, resulting in the gorgeous shot on the left. As a bonus, the shadows cast by the natural daylight highlight the details of the salad, giving it a fuller, three-dimensional look. The indoor shot on the right was done shortly after in a nearby mall. Whilst the colors are still vibrant thanks to Master AI, the photo looks comparatively flatter next to its outdoor counterpart. Not every shot has to be exciting; don't be afraid to keep things simple. Choose a plain or a simple-patterned background. Play with color contrasts. If you're shooting a plate of food, be sure you've wiped away any spills that may spoil the composition. You can use props, but go easy on them. Pick props that add to the story of the image—utensils are popular props, but if you're shooting food you cooked yourself, considering using leftover raw ingredients to tell your audience what your masterpiece is made of. Capture your food at its best. Quality food comes at price—so make sure your camera does it justice. Quality food comes at price—so make sure your camera does it justice. Comparing the two photos, one was taken with an iPhone X and another with a P20 Pro, the latter comes out as a clear winner with punchier, more vibrant colors and better focus on the subject. This is because the photo on the right was taken with Master AI enabled, a feature that is unique to HUAWEI's devices. 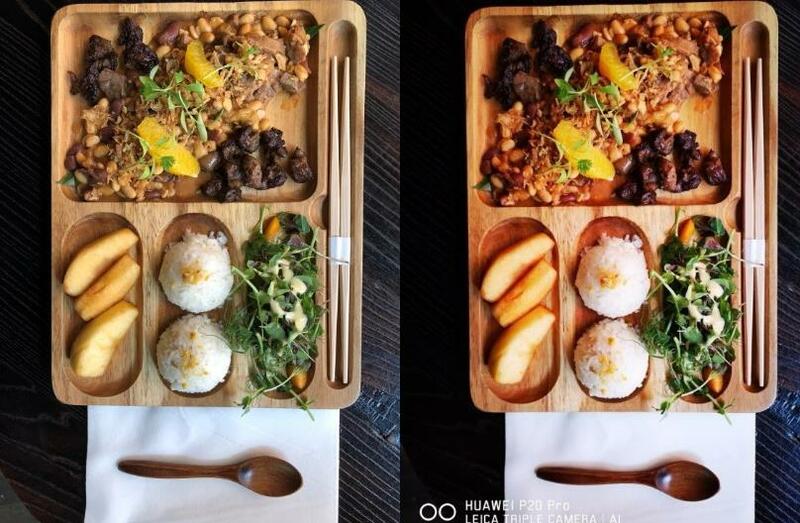 On the P20 Pro, once the AI camera detects that you are pointing the camera toward something edible, it will automatically recognize it as food and adjust the colors so that the yellows and greens are more vibrant and "pop". The result? More appetizing-looking food that lands you more likes on your socials. Feeling hungry? The mouth-watering food shots must've whetted your appetite. You could do the same to your social audience with a P20 Pro or P20, this best HUAWEI smartphone's AI camera is able to recognize more than 500 scenarios under 19 categories. Try it soon!